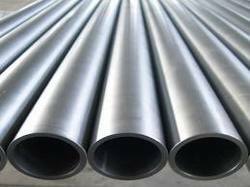 We have been able to offer a high quality range of Industrial Pipes to the customers. These pipes are fabricated using high quality stainless steel, in compliance with the clients' preferences. Made available in different wall thickness and diameters, these industrial pipes are widely demanded to cater to the needs of sugar mills & distilleries, construction industries, pumps & petrochemicals, cement and steel plants. In our range, we offer Seamless Pipes, Welded Pipes, ERW Pipes, Alloy 20 Pipes, Titanium Pipes, Copper Alloys Pipes, Hastelloy Pipes, Monel Pipes and others. 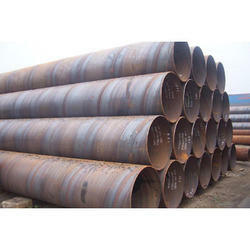 Superior steel overseas is the leading manufacturer and exporter of SAW pipe which are made from high quality raw materials. 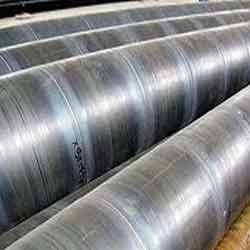 Superior steel overseas is the leading manufacturer and exporter of Spiral Welded pipe which are made from high quality raw materials. 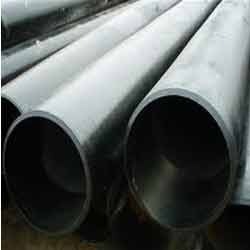 Superior steel overseas is the leading manufacturer and exporter of Mild steel pipes which are made from high quality raw materials. 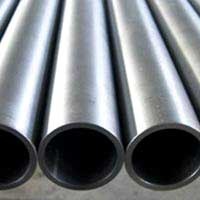 Superior steel overseas is the leading supplier and exporter of Square pipes which are made from high quality raw materials..
Superior steel overseas is the leading supplier and exporter of ERW steel pipes which are made from high quality raw materials. Industrial piping is a critical item in any production plant and operate under a wide range of pressure, temperature and corrosive atmosphere. The efficiency, productivity and safe operation of plants depends to considerable extent on how effectively piping systems withstand the rigors of service. We are widely known for erection, commissioning, servicing and maintenance of Industrial Pipings (MS, SS, GI & ALUMINUM) with instruments, Pump House, Oil, Gas, Fluid Piping. Backed by a team of hardworking personnel and modernized facilities, we have been able to offer a range of Carbon Steel Pipes. These are developed using quality assured raw material in different sizes, shapes, diameters, grades and specifications to suit the distinguished needs of the clients. The products we are offering are acknowledged in the market for their durability, resistance against corrosion and excellent finishing. 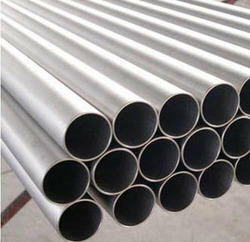 We are engaged in offering a high quality range of Alloy 20 Pipes to the customers. These pipes are widely known for their enhanced durability, superior tensile strength and dimensional accuracy. Moreover, we offer these products by testing their quality on certain quality parameters. 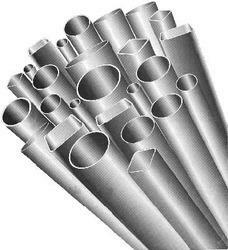 We are offering an unparalleled array of Nickel Pipes from us. 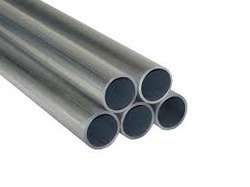 This range of nickel pipes offered by us is highly appreciated among the clients for its capability to exhibit excellent corrosion resistance in alkaline solutions such as caustic soda. Moreover, this range is developed using superior grade 99.6% pure nickel of 200,201 and 205 grades sourced from trustworthy vendors of the market. We offer a wide range of high quality Seamless Pipes to the customers, which is manufactured using high-grade steel and metal alloys. These pipes are made available to the clients in single as well as double welded forms, with or without radiography. The seamless pipes and tubes are made available in nickel & copper alloys, stainless steel, duplex and carbon to suit varied clients' preferences. Advanced machines are also being used to design defect free range of pipes for the clients. 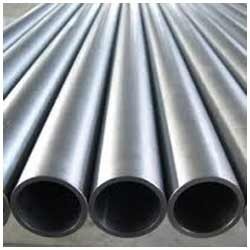 ERW Pipes are made available in different sizes, shapes and other technical specifications as per clients' preferences. These pipes are widely used to cater to the needs of water pipelines, agriculture & irrigation and gas pipe lines. Moreover, the products are widely known for their high tensile strength, corrosion resistance and durability. ERW pipes and tubes are offered in 4 inch size (10.2 mm) with OD and below, where strip is fed into a set of forming rolls. Moreover, roll includes horizontal and vertical rollers that gradually form the flat strip into a tube and allows in passing the electrodes with utmost efficiency. Owing to the wide distribution network and a competent team of personnel, we are offering a superior range of Titanium Pipes. This range is sourced from authentic vendors, who ensure to design it in strict compliance with the industry laid norms and standards. These products offered by us are widely appreciated among the clients for its durability, rust resistance and strength. 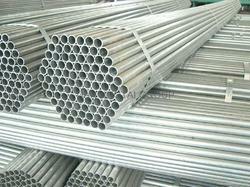 Our range of organization is involved in offering an extensive range of Welded Pipes to the clients. These products are made available to the clients in different range and grades and are known for their durability, dimensional accuracy and fine finish. 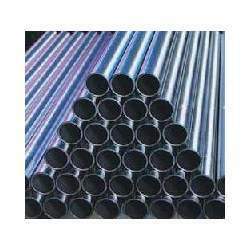 The range of Welded Pipes caters to the requirements of chemical, metallurgical and desalination industries in an efficient manner. These products have higher content of molybdenum and nitrogen that improve their corrosion resistance and durability. We fabricate these products using nitrogen alloyed chloride resistant grades and welded by adding nitrogen in the shielding gas. 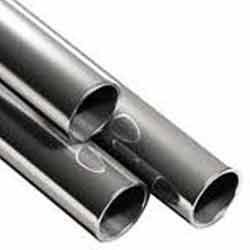 Moreover, welded pipes are welded with filler metal, which is heat treated as per clients' requirements. 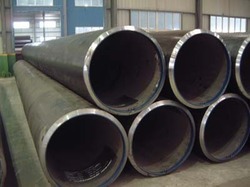 With immense experience and proficient personnel, we are readily engaged in dispatching a superior range of Monel Pipes. 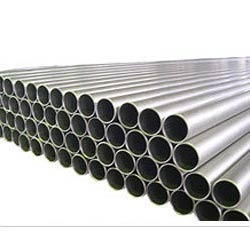 This range of monel pipes is developed using optimum-grade raw material and advanced machinery in conformation with the international quality norms and standards. In addition to this, the offered range is utilized in soft drinks, food and beverage industry. 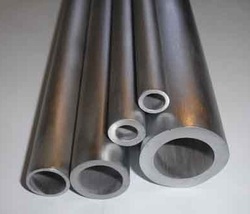 Our customers can avail a comprehensive range of Inconel Pipes. This range of inconel pipes is applicable in a different areas such as aviation, oil & gas aerospace, petrochemical and natural gas. Along with this, the offered range is available in a number of dimensional specifications such as outer diameter and cross section to cater to the diverse demands of clients. In order to cater to the diverse demands of esteemed customers, we are offering a supreme range of Copper Alloys Pipes. 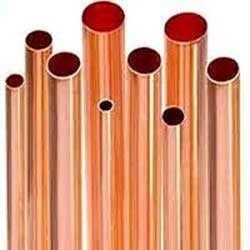 This range of copper alloys pipes is developed using high grade raw material, which is sourced from reliable vendors of the market. Copper alloys pipes offered by us are utilized in a number of industries such as construction for its durability and corrosion resistance. These products are checked using stringent techniques so as to ensure its adherence with industry norms. 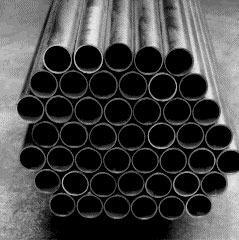 We are comprehensively engaged in offering a wide assembly of Hastelloy Pipes. 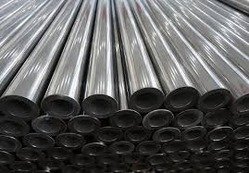 This range of hastelloy pipes offered by us is available in different shapes such as round, square, rectangular and hydraulic to comprehend and meet the emerging requirements of clients. Along with this, the offered range is available in single random, double random and cut length. 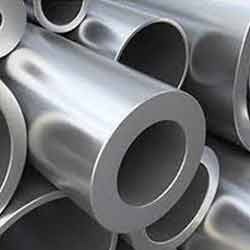 Superior steel overseas is the leading manufacturer and exporter of Stainless Steel Pipes which are made from high quality raw materials. 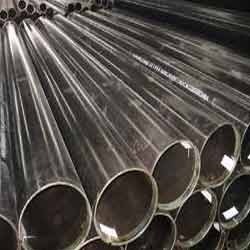 Superior steel overseas is the leading manufacturer and exporter of Carbon Steel Pipes which are made from high quality raw materials. 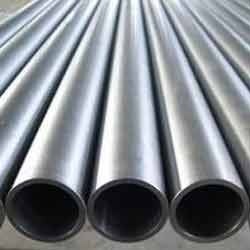 Superior steel overseas is the leading manufacturer and exporter of Alloy Steel pipes which are made from high quality raw materials. 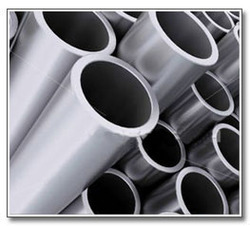 Superior steel overseas is the leading manufacturer and exporter of Nickel alloy pipe which are made from high quality raw materials. 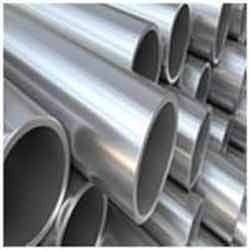 Superior steel overseas is the leading supplier and exporter of Galvanized pipes which are made from high quality raw materials..
We are comprehensively engaged in offering an extensive assembly of Cupro Nickel Pipe. 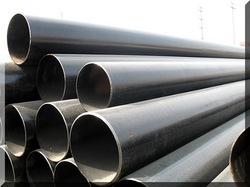 This range of Cupro Nickel Pipe offered by us is developed using premium grade nickel alloy and copper alloy material and is available in a number of customized specifications in accordance with the emerging requirements of esteemed clients. Applauded for their dimensional accuracy, corrosion resistance and optimum strength, these products are utilized in a number of oil & gas, drilling & well building and chemical industries. 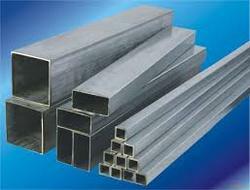 With detailed knowledge of variegated aspects of the market, we have been able to bring forth a range of Alloy Steel. The products we offer are developed utilized latest machines and tools, following international norms. All our products are extensively applauded by the customers for their fine finishing, resistance against corrosion and durability. Further, our experts make sure that these tubes are delivered at patrons’ end within the promised time-frame. 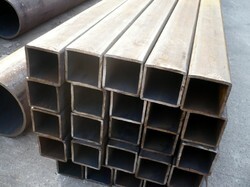 Looking for Industrial Pipes ?